This study is part of a project initiated by the Swiss international cooperation community of practice, the Swiss Security Network (SSN@cinfo) led by cinfo, to better understand duty of care obligations under Swiss law. This study resulted in the development of a maturity model learning tool for Swiss non-governmental organisations active in international cooperation to understand and assess what safety and security risk management processes should be taken so that organisations can improve their duty of care towards employees working outside of headquarters (i.e., those travelling or based overseas). Please note that this study focuses primarily on the Swiss legal context; however, contributors to the report included non-Swiss NGOs and the contents of this document may, therefore, also be of interest to NGOs operating outside of the Swiss legal framework. Read the full study, and see the maturity model matrix annex developed as part of this study. 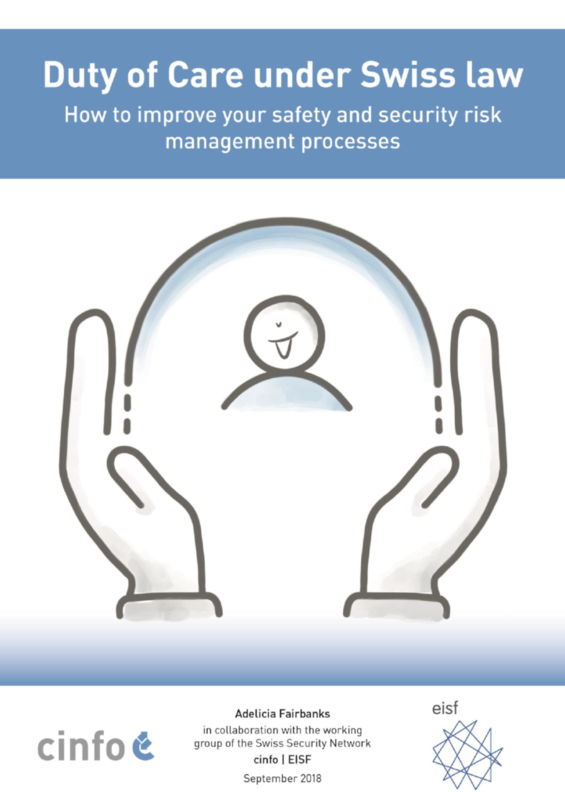 The maturity matrix developed by the Swiss Security Network aims to serve as a learning and benchmarking tool for NGOs on key safety and security risk management processes. This is a predominantly top-down maturity model matrix where each maturity level has pre-determined characteristics against each process. A second version of the maturity matrix was developed by EISF using a different approach and is published separately to this study. This maturity model follows a bottom-up approach where distinct characteristics or assessment items are firstly determined and then later clustered into maturity levels. The clustering was based on good practice identified through the research. 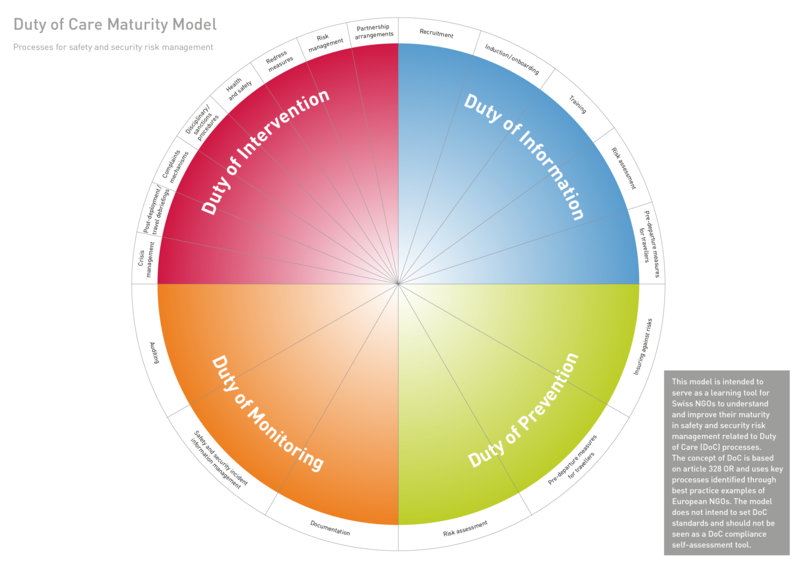 On the basis of the data collected, most organisations would likely fall under ‘Defined’ maturity across most processes. Access it here.